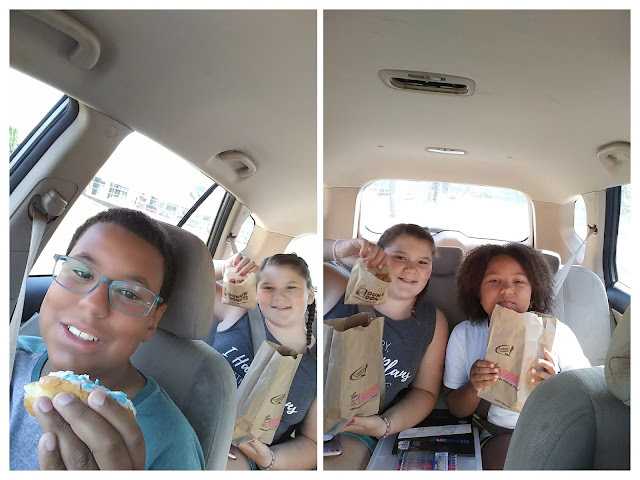 Dunkin Donuts provided us with a gift card to try the new treats for summer. Opinions are my own. I've inadvertently taken a social media break. I didn't even realize it until I remembered to post my weekly update! There is so much I want to share! At the same time, I'm realizing that there isn't a whole lot of time left in my career as a mom. I know that seems odd, I know my kids will always need me. But, not the way they do at this time in their lives. I don't want to miss anything. I find myself being the one to beg them to do something they've always done in the past. When I realize that I'm doing it, I try to stop. But I can't help that they feel guilty and do it anyway. I hate that they have opinions! 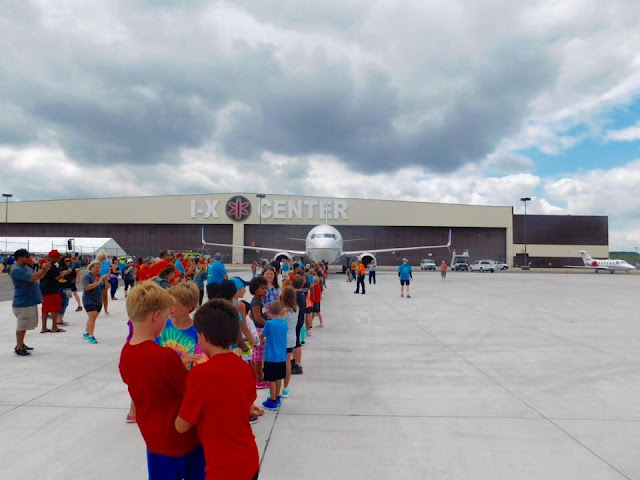 Last weekend was the annual plane pull for Special Olympics. My company has participated in everyone since the first one eight years ago. And, I am proud to have gone all but one year. Look how little they are in that photo! I miss those cheeks! I realized this year, that this is a hard event for older kids. It's hot, boring, and very little shade. There are bounce houses, but they are getting older and it's not as fun anymore. On the other hand, they get to pull a plane and that is fun whatever age you are! 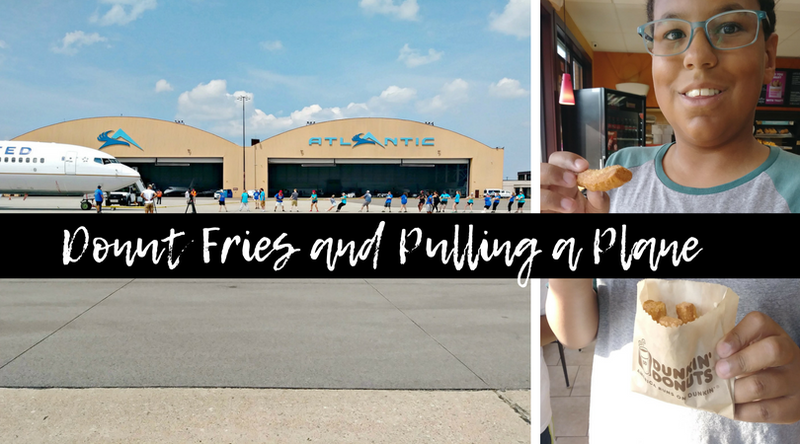 The promise of Dunkin Donuts and donut fries seemed to help get them out of bed Saturday. 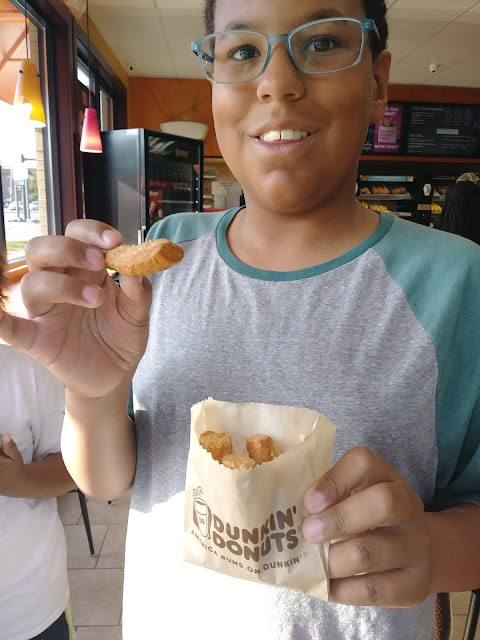 Yes, donut fries! They are cut like fries and coated in cinnamon and sugar. Two out of the three kids loved them The one who only, "just liked them," wanted more and thought they were too small. He said this while liking the cinnamon and sugar off his fingers. Sweet, crispy, and just $2 for an order; available for a limited time! Cold brew coffee is my jam! And, the Brown Sugar Cold Brew is better than I imagined. I usually drink coffee black, but that hint of brown sugar is sweet, but not too sweet. 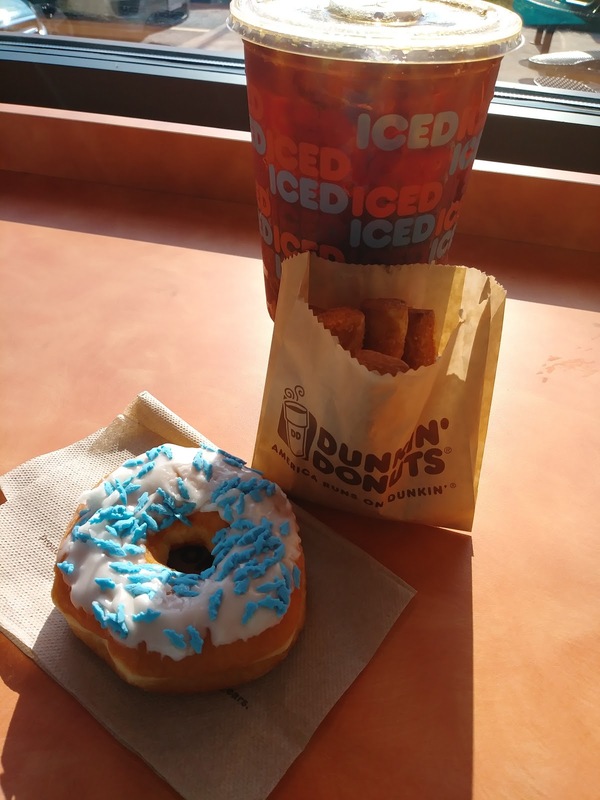 Dunkin has two new, limited time doughnuts. Just in time for Shark Week - Shark Bite Donut. You know we had to have that bad boy! And, the Chocolate Coconutty Donut. If I wasn't trying to pull a plane I would have indulged in that gooey goodness of coconut crème filling, real flakes of coconut, frosted with chocolate icing, and sprinkled with crumbled shortbread cookie pieces. Don't miss out on these goodies! They are only here for the summer!